Add value and distinction to your home with a new or renovated wood floor from Superior Home Remodelers. We offer superior floor installation and refinishing. 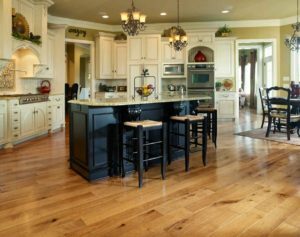 Whether you want a new floor installed or to reclaim an existing floor, Superior Home Remodelers will do the job for you. We can install flooring in one room or your entire home. We also offer sound barrier options, which can be used to lessen noise in second story spaces, high rises, and condominiums. Our flooring can even be installed over existing flooring, including, but not limited to, concrete, tile, vinyl, stone, and wood. Our installations typically take from one to seven days, depending on the type of job. Superior Home Remodelers provides first-class service tailored to your unique flooring needs in Southeastern CT. If you are considering installing a new floor, consider doing business with the experienced, professional team at Superior Home Remodelers. Call us today at 1 (860) 984-1026. When you call us at 1 (860) 984-1026 to schedule a free, no obligation consultation, you will set the wheels in motion for a brand new chapter in your life. We are the area experts in wood floor installation, repair and much more. A great experience in flooring awaits!